Blacktrace, a world leader in Productizing Science® has expanded its presence in Japan by opening a new office in Kanagawa and doubling its sales team. The expansion will help the company meet increasing demand from its key sectors in Japan, particularly for single cell technology. Ciao everyone! Remember we took the Syrris Roadshow to Europe in Spring of this year? Well, we had such a great time we're back for round two: The Winter Tour! By its very definition, microfluidics manipulates fluids working below the milliliter range. 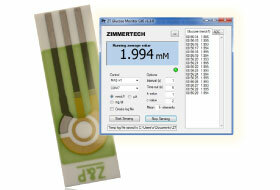 Typically, this uses tubing and/or chips which have features ranging from 800 µm to the smallest chip we’ve produced at 0.2 µm. Dust particles, ranging in size from a few nanometres to the millimeter range, are found almost ubiquitously in nature. Fibers/hairs are also found universally and can be transferred through normal contact when handling equipment. Each source of contaminant has the potential to interrupt microfluidic experiments, but there are methods to mitigate and prevent these from occurring. A Dolomite Bio system is helping researchers in the Department of Molecular Medicine at Aarhus University Hospital in Denmark to explore the potential of single cell RNA sequencing for personalized treatment of bladder cancer. 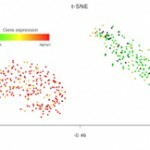 Dolomite Bio, a leading provider of high throughput single cell technology today announced the release of its new drop-seq datasets for single cell RNA-Seq. The data, generated on Dolomite Bio’s Nadia Instrument, demonstrates excellent single cell RNA-seq performance with high gene capture, low doublet rates and cost-effective profiling. Drug encapsulation with in polymeric particles, such as poly(lactic-co-glycolic acid) (PLGA), has been common practice for the last 20 years. Until now however, methodologies commonly used to create such particles have been ineffective and wasteful. 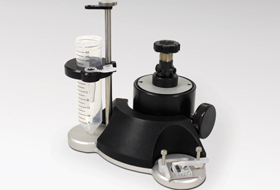 Conventional batch methods produce particles and beads with a wide range of diameters in each batch, meaning that the specific properties of the beads may vary significantly across the sample. 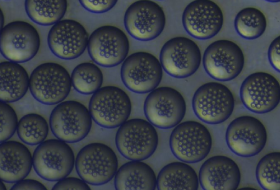 By contrast, microfluidic technologies enable the production of highly monodisperse particles in a single step, thereby increasing the yield of on-specification bead sizes. Dolomite introduces new specialist chemicals to assist emulsion stabilisation6th July 2018Dolomite Microfluidics now offers a range of specialist chemicals designed to stabilise a variety of emulsions. 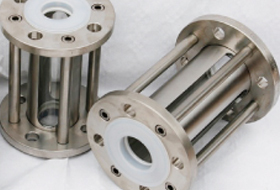 By forming highly stable and reproducible emulsions, our products enable high retention of droplet contents, rapid rates of droplet formation, as well as controlled emulsion breaking when required. 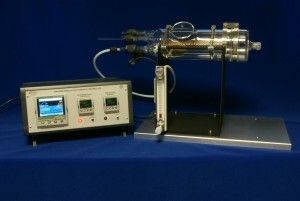 Until now commonly used encapsulation methods (such as high-shear mixing or sonication) have been ineffective and wasteful. 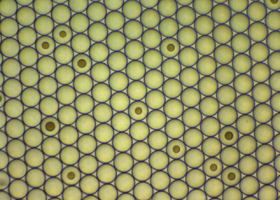 By contrast, droplet microfluidic technology enables high encapsulation efficiency and the fabrication of unique formulations that are difficult or impossible to achieve using standard methodologies. 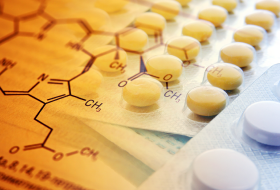 This gives researchers access to variety of formulation that can be fine-tuned depending on the nature of the (API) and specific functional requirements. This week was Stuart and Omar’s turn to host the roadshow in Finland. Stuart started their stint by himself and encountered our first problem with the van when leaving Norway. It started shaking uncontrollably and he noticed that the tyres had gone a completely abnormal shape! He had to drive approx 150 kms to the next city (Oslo to Karlstadt) at about 40 km/hr. He managed to get the tyre changed with the spare and then had a short 4 hour trip to Stockholm. What a hero! 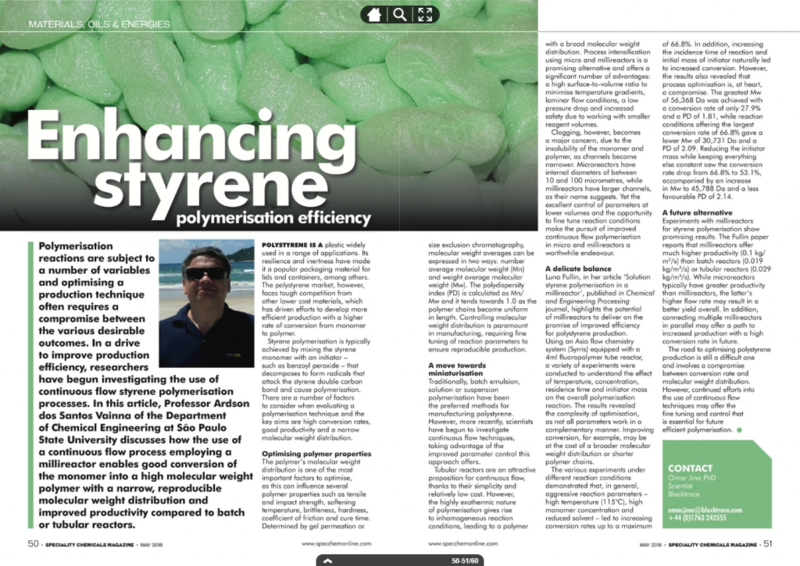 In an article published in the May edition of Speciality Chemicals Magazine, Professor Ardson dos Santos Vainna, Department of Chemical Engineering, São Paulo State University, discusses how the use of a continuous flow chemistry process in a Syrris Asia Flow Chemistry microreactor system enhances the efficiency of styrene polymerization. We’re excited to announce that Syrris will be exhibiting at the much-anticipated ACHEMA chemistry show in Frankfurt, Germany (11th – 15th June 2018). 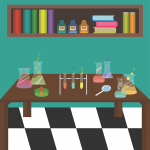 Syrris’ resident flow chemistry expert, Andrew Mansfield, will be presenting a range of free-to-attend 10-minute lightning talks on various flow chemistry topics. Presented on the Syrris stand in the Flow Chemistry Pavilion, the talks are aimed at helping chemists to better understand the benefits of flow chemistry and the scope of what can be achieved using flow chemistry systems. Read on for a full breakdown of the talks. 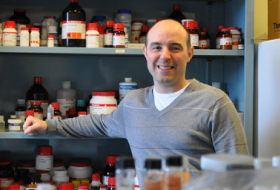 In an article published on pharmtech.com, Nicola Tirelli, Professor and Senior Researcher at the Laboratory of Polymers and Biomaterials, Italian Institute of Technology, explains how variation in drug-loaded polymer nanoparticle synthesis is reduced with flow chemistry, compared to traditional batch chemistry techniques. 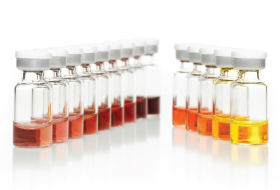 Microfluidics is an ideal tool for applications such as encapsulation of reagents, or other ingredients, when compared with traditional batch methods, due to the ability to produce precisely controlled, monodisperse particles. Here we’ll talk about the benefits of a microfluidic approach in producing monodisperse micro- and nanoparticles in a reproducible and scalable way. 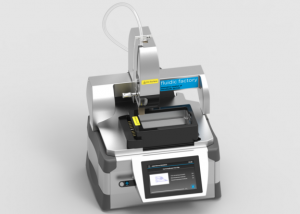 Dolomite Microfluidics is simplifying research into drug encapsulation by offering a complete automated system for polymer micro- and nanoparticle generation. 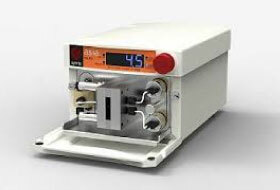 The company’s Drug Encapsulation System provides scientists with a quick, simple and scalable way of encapsulating drug samples, without the need for extensive microfluidics knowhow. Single-cell RNA-sequencing (scRNA-seq) is a cutting edge innovative technology that provides unprecedented insight into the expression patterns of thousands of single cells. 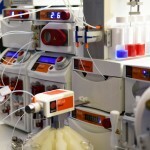 UK researchers may have saved chemists hours of manually tuning their reactions, thanks to a free and user-friendly computational software tool they’ve developed in which they used a Syrris Asia Flow Chemistry Syringe Pump. Meet Steph and Ollie, designers working in our Design and Innovation team. One of their recent projects has been creating the new Blacktrace visual identity, here we find out more about their design journey and how we got to where we are visually. 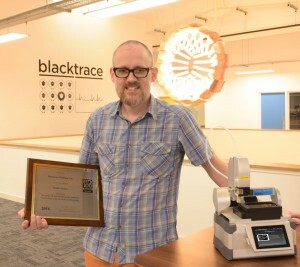 The Pioneers of Miniaturization Lectureship 2017, sponsored by Dolomite Microfluidics and Lab on a Chip, has been awarded to Professor Aaron Wheeler in recognition of his contribution to digital microfluidics, a technique which involves manipulation of discrete microfluidic droplets on the surface of an array of electrodes coated with a hydrophobic insulator. 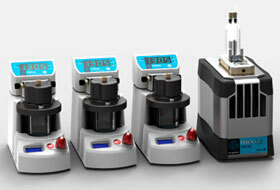 Dolomite Microfluidics is making microencapsulation technology more widely accessible with the Telos® droplet system, designed for high throughput and easy scale up. 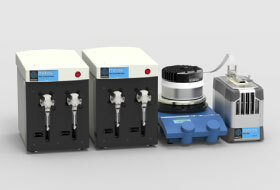 The modular components provide scientists with excellent process control, and the ability to choose from a range of particle diameters between 10 and 50 µm on a single piece of hardware. 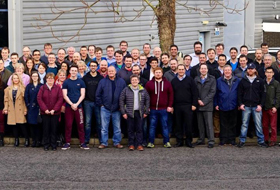 Dolomite, a world leader in microfluidics innovation, is celebrating the success of its Fluidic Factory 3D printer in the ‘Processing and Prototyping’ category this year’s R&D 100 Awards. 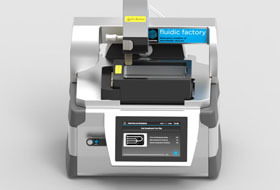 This innovative system – the first commercially available 3D printer for fluidically-sealed devices – offers rapid, straightforward and reliable prototyping of microfluidic components, including chips, manifolds, connectors and other devices. Using cyclic olefin copolymer (COC) makes it easy and affordable to 3D print devices for almost any application. 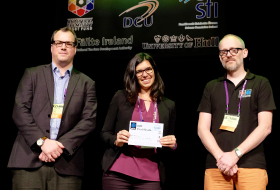 This year's MicroTAS Video Competition has been won by Enrica Rollo from EPFL (École polytechnique fédérale de Lausanne) in Switzerland, for her entertaining comparison between cleanrooms and kitchens. 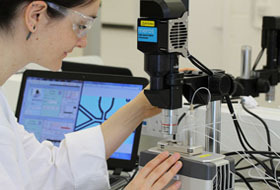 The annual competition – run by microfluidics specialist Dolomite and Lab on a Chip, and supported by the Chemical and Biological Microsystems Society – embraces the lighter side of life sciences and chemistry, while giving delegates a chance to win €2,500 worth of Dolomite microfluidics equipment. Dolomite, a world leader in microfluidics innovation, unveiled its innovative Fluidic Factory at Lab-on-a-Chip & Microfluidics 2016 in Madrid, Spain, on the 15th of March. 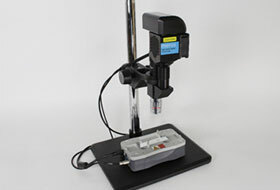 Dolomite has developed the Meros High Speed Digital Microscope specifically for microfluidic applications. 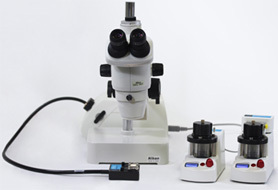 This high resolution imaging system allows users to conveniently monitor high speed microfluidic events, such as droplet formation, using a built-in stage. 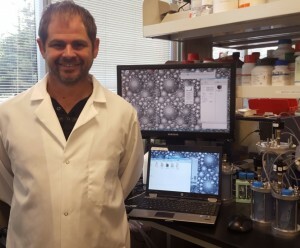 A Dolomite microfluidic system is helping Dr Samar Damiati, Assistant Professor in the Biochemistry Department at King Abdulaziz University in Saudi Arabia, perform drug encapsulation studies. 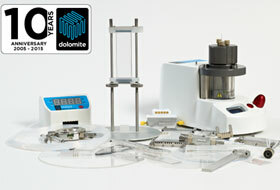 Dolomite, a world leader in microfluidics innovation, has launched the groundbreaking µEncapsulator 1 System, the only microfluidic product specifically designed to meet the needs of research biologists. 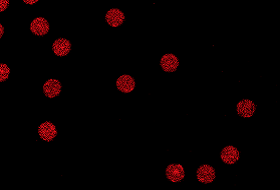 This user-friendly, high throughput system offers simple, straightforward encapsulation of single cells, DNA and/or functionalised beads in high precision, identically-sized picolitre droplets. 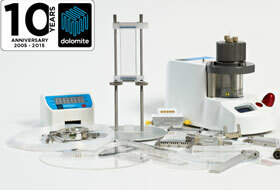 Dolomite, part of the Blacktrace group of companies, is celebrating a decade of excellence in the design and manufacture of novel, high quality microfluidic products, including individual components such as pumps, chips, connectors, temperature controllers and sensors, software solutions and complete microfluidic systems. 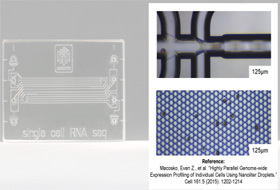 Dolomite, a world leader in microfluidics innovation, has launched the Single Cell RNA-Seq Chip for simple, reliable creation of single cell libraries. Dolomite, a world leader in microfluidics innovation, will be previewing its innovative Fluidic Factory at MicroTAS 2015 in Gyeongju, Korea, on the 25th of October. 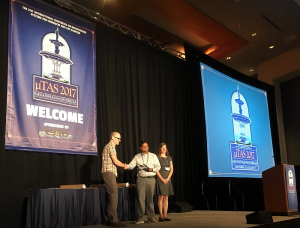 Microfluidics specialist Dolomite has teamed up with Lab on a Chip and the Chemical and Biological Microsystems Society to create the first ever MicroTAS Video Competition. Dolomite, a pioneering microfluidics specialist, and Lab on a Chip are pleased to announce the winner of the Productizing Science® 2015 competition, Zimmertech AS. 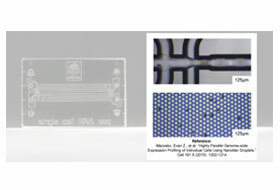 Dolomite Microfluidics, the world leader in innovative microfluidic products, has seen significant growth in the sale of its Micro Droplet Systems, particularly for cell encapsulation applications. 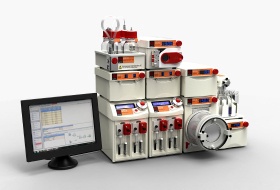 Dolomite, a world leader in microfluidics innovation, has launched new flexible, cost-effective Flow Chemistry Systems at the 250th American Chemical Society Meeting and Exposition in August 2015. 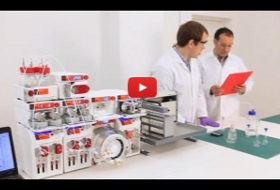 Syrris – a world leader in flow product innovation – has released a Flow Chemistry Applications video succinctly describing the many and varied applications of this microchemistry technique. 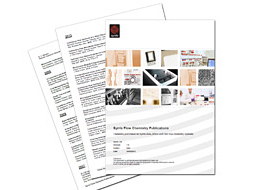 We have created a convenient reference guide highlighting the many and varied applications which have been performed using our flow chemistry solutions. 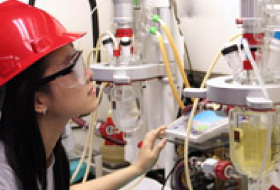 Our innovative Globe jacketed reactor system has enabled chemical engineering students at Worcester Polytechnic University, USA, to safely investigate the production of biodiesel. 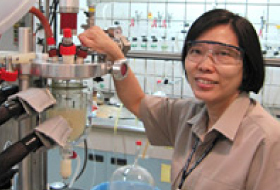 Syrris, a world leader in flow product innovation, has produced an exciting series of online videos showcasing how its Asia systems enable scientists to access the benefits of flow chemistry. 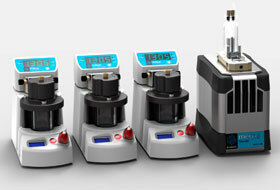 Syrris is hosting a free flow chemistry workshop in Cambridge, Massachusetts, USA, on the 9th of May 2013. 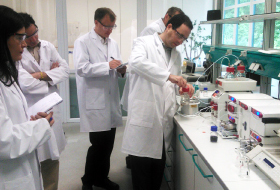 The latest in a successful global series of workshops, the event will combine theoretical discussion with hands-on sessions, enabling chemists to develop their understanding of the many and varied benefits of flow chemistry. 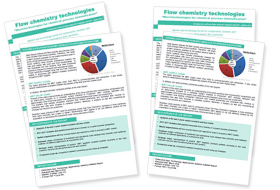 We have created a new online resource for flow chemists, providing instant access to details of a wide variety of reactions performed using the Company’s award winning flow chemistry reactors. 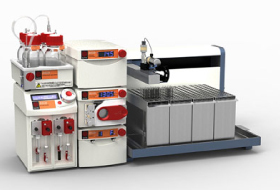 Petroleum and petrochemical provider PTT is reaping the benefits of the Atlas lab scale chemistry reactor system from Syrris, simplifying the production of catalysts for polyolefins. 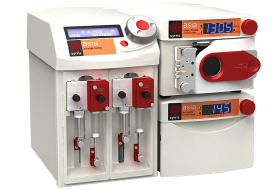 Our Asia Syringe Pump, designed specifically for flow chemistry, employs patented pumping technology, giving chemists a tool to perform flow reactions not possible using HPLC pumps or 'single shot' syringe pumps. 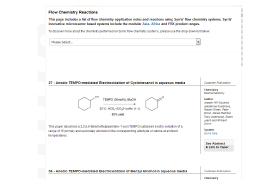 Syrris has released a new version of its popular Asia Manager PC Software, offering powerful walk-away control and analysis of flow chemistry experiments. 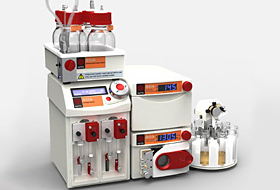 The Discovery Chemistry Department at Gedeon Richter in Budapest, Hungary, has invested in an Asia flow chemistry system from Syrris to aid researchers involved in the design and synthesis of original CNS drugs. 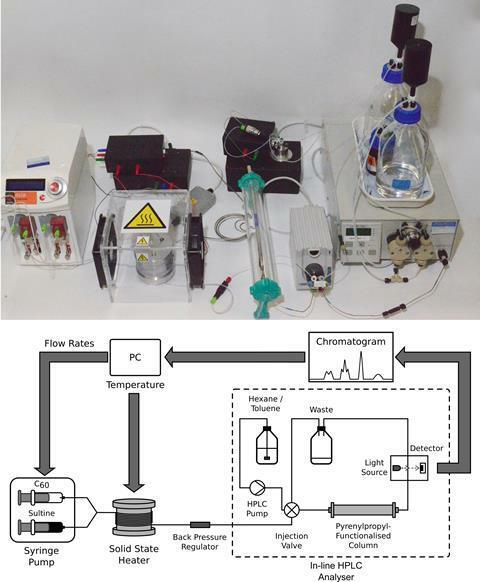 Researchers in the Department of Organic Chemistry at the Chemistry Institute of the Federal University of Rio de Janeiro are taking advantage of the modular Asia flow chemistry system from Syrris to develop biocatalyzed continuous flow reactions. 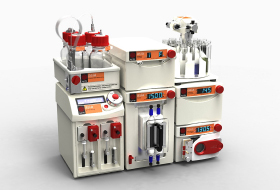 Researchers around the world are realizing the benefits of the Asia flow reactor range from Syrris, the world’s leading provider of laboratory scale flow chemistry systems, for the synthesis of nanoparticles. 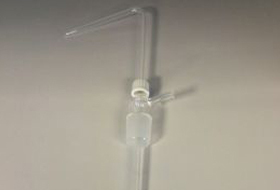 The unique Asia FLLEX (Flow Liquid Liquid EXtraction) module from Syrris – the leading provider of flow chemistry solutions – is the flow chemistry equivalent of a separating funnel yet involves no shaking and does not rely on gravity. 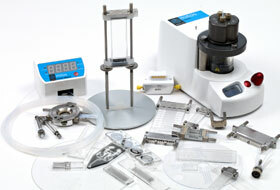 It is ideally suited to the preparation of samples prior to analysis, further synthetic steps or purification. 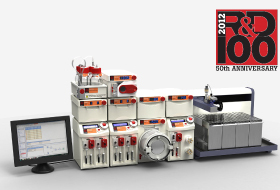 World-leading flow chemistry manufacturer Syrris has won a prestigious 2012 R&D 100 Award for Asia, its revolutionary range of advanced flow chemistry systems. 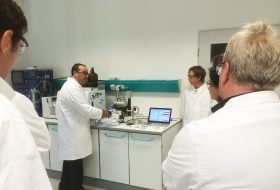 Syrris’ latest free flow chemistry and automated process chemistry seminars, held during May in Dinslaken, Germany, built on the success of previous events in Thailand and India, with scientists from across Europe declaring them extremely beneficial. 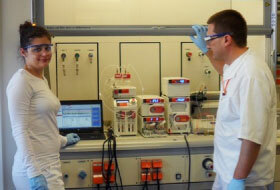 Syrris becomes the leading supplier of flow chemistry solutions around the world. 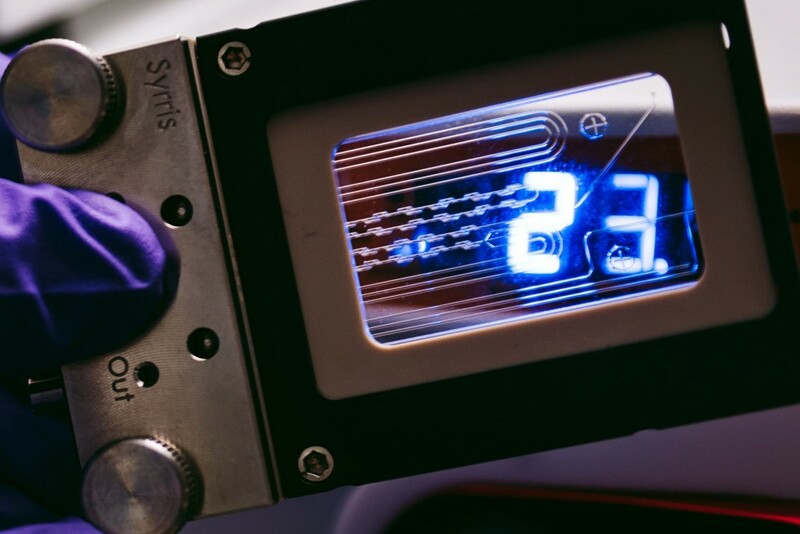 Syrris Ltd has been identified as the leading global provider of flow chemistry equipment in a recent independent report conducted by market research experts Yole Développement. 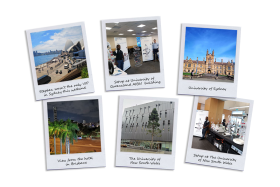 Syrris is building on the success of its previous flow chemistry and automated process chemistry seminars with a series of free workshops that will enable scientists around the world to benefit from the Company’s extensive knowledge and experience. 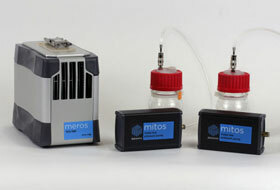 Syrris offers the unique Asia Chip Climate Controller module for its revolutionary range of Asia flow chemistry products. 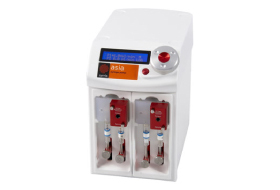 The Asia Chip Climate Controller provides advanced microreactor temperature control for faster, cleaner reactions in glass or quartz microreactors, offering maximum chemical resistance, excellent mixing and easy visualization of reactions. Glass Solutions, a world leader in the manufacture of high quality, precision glassware, is the supplier of choice for a wide variety of laboratories, providing specialist scientific glassware backed by unrivalled service and support. 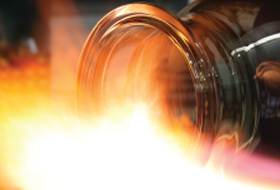 With extensive in-house expertise, combined with the UK’s largest advanced glass-blowing facility, the company is ideally placed to produce exceptional quality, precision manufactured glassware to suit a wide variety of laboratory applications. 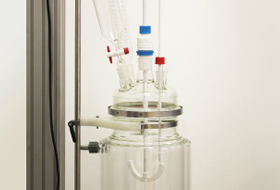 ALS Food and Pharmaceutical, based in Chatteris, UK, relies on Glass Solutions to maintain its laboratory glassware. 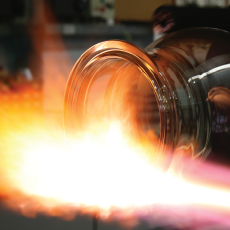 Glass Solutions is the world leader in high quality, precision glassware for scientific, architectural and engineering applications, and offers bespoke design and glass blowing capabilities to match individual customer needs. Glass Solutions is working with bespoke furniture and lighting designers FRD Ltd to produce individual lighting installations for both private and public spaces. 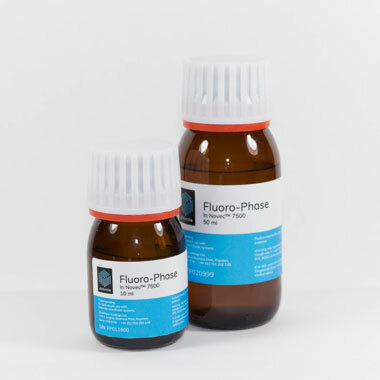 Bolton-based PTFE Developments Ltd. specialises in the production of fluoropolymer-lined chemical process equipment for the chemical and pharmaceutical industries, relying on Glass Solutions to supply the high quality glass used in its tubular sight glasses. 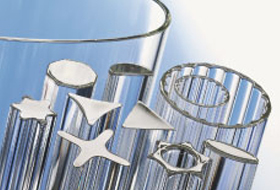 Glass Solutions, a world leader in the manufacture of high quality, precision glassware, is the supplier of choice for numerous design agencies, architects and production companies requiring custom-designed, decorative pieces of glassware. 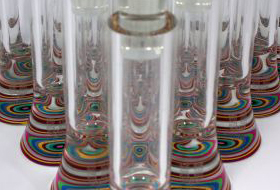 Glass Solutions has collaborated with production company Atom Ltd to manufacture a unique high quality glass trophy for a large multinational company. Glass Solutions hand-blown precision glassware is key to the continued success of Yorkshire-based LabPlant UK's laboratory scale spray dryers. Haberdashery, a London-based design consultancy, relies on Glass Solutions to produce top quality, custom-made glassware for its landmark sculptural lighting commissions. 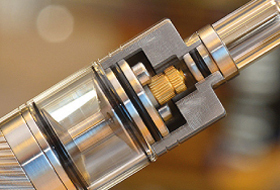 Blackpool-based RocketScienceMods, a manufacturer of high-end electronic cigarette components, turned to glassware specialist Glass Solutions to meet its need for a bespoke high quality drip tip. 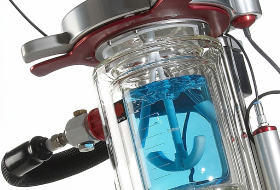 Glass Solutions has launched a range of jacketed reactor systems combining excellent value with reliable performance for process development, reaction optimization, or production applications. 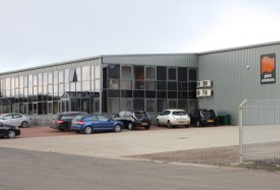 After spending the summer preparing the new 12000sq ft facility with the very latest infrastructure, Glass Solutions has now relocated both its March and Cambridge sites. Glass Solutions is delighted to announce its recent acquisition of Labglass Ltd, the reaction vessel specialist based in north Cambridgeshire. During the summer Glass Solutions had the opportunity to manufacture a series of glass shades for installation into one of London’s top hotels. Like everything else that had been commissioned for this project it was on a grand scale. It takes more than a good idea to make something truly remarkable, and a product can’t be a company’s only asset; the people are equally, if not more, valuable. At Particle Works, we remain committed to the belief that our true value lies with the people behind the particles, who make it all possible. 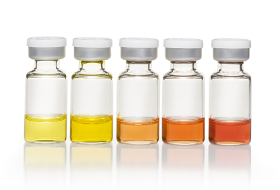 Particle Works – the nano- and microparticle materials specialist – has developed a range of high quality quantum dots for use in diagnostic, biomedical and optoelectronic applications. 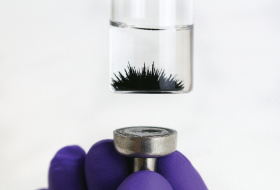 Particle Works – a Blacktrace Holdings brand – is a world leader in the synthesis of nano- and microparticles. 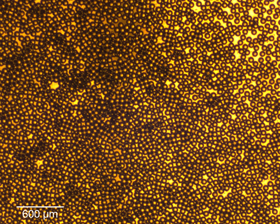 Particle Works – the nano- and microstructured material specialist – has developed a range of alginate and agarose hydrogel beads designed to enable three dimensional cell culture growth. 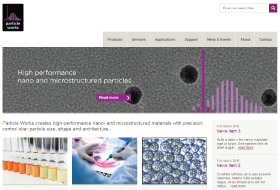 Particle Works – the nano- and microstructured material specialist – provides microencapsulation services for drug development applications, including controlled drug release, solubility enhancement or targeted drug delivery. Blacktrace Holdings Limited, a leading group of companies focused on Productizing Science®, will be launching its latest brand, Particle Works, at the NANOTEXNOLOGY 2016 conference in Thessaloniki, Greece, from the 4th to the 8th of July. 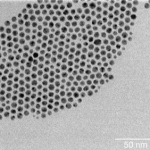 Particle Works, supplier of high-performance micro-and-nanostructured materials, has released a range of metal nanoparticles specifically engineered to achieve high performance in applications such as lateral flow assays, catalysis, photo thermal heating, drug delivery and magnetic separation. Particle Works, a world leader in the manufacture of high performance particles, offers significant benefits to a wide range of applications. Particle Works supplies micro-and nanostructured for lateral flow assays, bio imaging, catalysts, light emitting materials, magnetic materials, targeted drug delivery, controlled drug release and cell growth medium. Particle Works is very excited to announce the launch of its website. 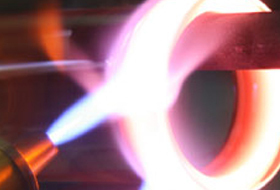 Particle Works manufactures high performance micro- and nanomaterials for a wide range of applications, and being able to find information about our products and services quickly and easily is crucial for visitors. 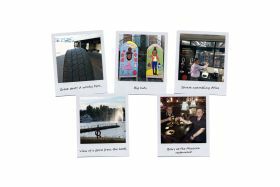 Customers are at the heart of our website design - we have made sure that the website is easy to use, simple to navigate, visually appealing and that it displays large images of products and key information at a glance with an option to expand. Dolomite Bio, a brand of Blacktrace Holdings Limited, celebrated the first anniversary of its launch on March 1st, marking the end of a fruitful year in business. This biology-focused brand, a spin out from sister company Dolomite Microfluidics, is dedicated to the development of innovative products for high throughput single cell encapsulation. Dolomite Bio has launched a new Injection Valve and Sample Loop for single cell RNA sequencing workflows. This option enables straightforward, gentle introduction of evenly distributed mRNA capture beads into the company’s RNA-Seq System for individual encapsulation of cells. Researchers at The Institute of Cancer Research (ICR), London, are taking advantage of the single cell encapsulation capabilities of Dolomite Bio’s Single Cell RNA-Seq System to investigate resistance mechanisms in prostate cancer. 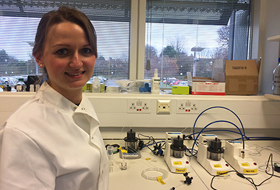 Karolina Nowakowska, a PhD student at The Institute of Cancer Research, explained: “Our team is focused on studying treatment resistance in prostate cancer patients, looking at the biochemical mechanisms responsible. 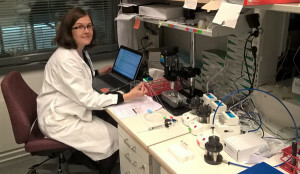 Dolomite Bio’s Single Cell RNA-Seq System is helping researchers at the University of Helsinki to investigate autoimmune diseases. Focusing on gastrointestinal conditions – such as coeliac disease and inflammatory bowel disease – the Molecular Genetics of Immunological Diseases group is using the system to study T-cell activation and response at the single cell level. Blacktrace Holdings Limited, a leading group of companies focused on Productizing Science®, is pleased to announce the launch of its latest brand, Dolomite Bio. This biology-focused brand – spun out from sister company Dolomite Microfluidics – is dedicated to the development of innovative products for high throughput single cell research. 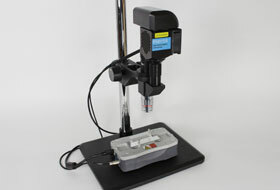 Dolomite Bio has developed the Meros High Speed Digital Microscope specifically for microfluidic applications. 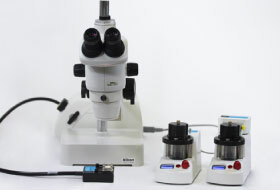 This high resolution imaging system allows users to conveniently monitor high speed microfluidic events, such as droplet formation, using a built-in stage. 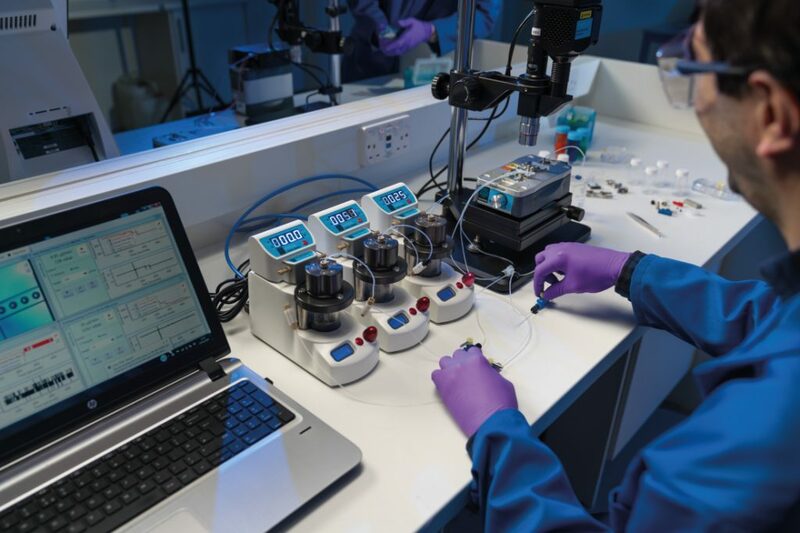 Dolomite Bio, a world leader in microfluidics innovation, has launched the ground-breaking µEncapsulator 1 System, the only microfluidic product specifically designed to meet the needs of research biologists. 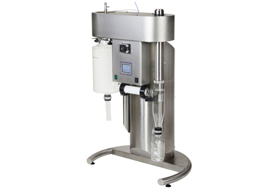 This user-friendly, high throughput system offers simple, straightforward encapsulation of single cells, DNA and/or functionalised beads in high precision, identically-sized picolitre droplets. 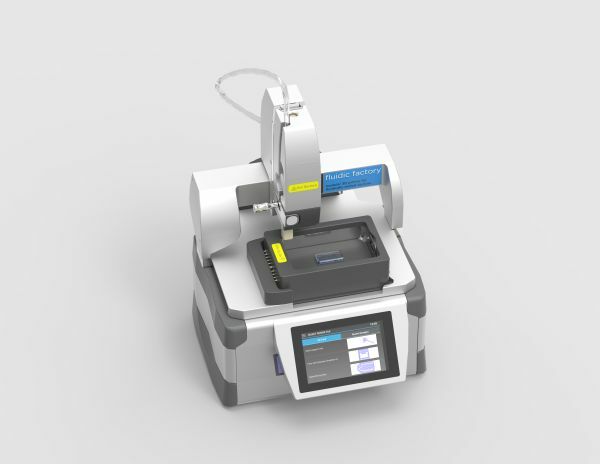 Dolomite, a world leader in microfluidics innovation, has launched the Single Cell RNA-Seq Chip for simple, reliable creation of single cell libraries. 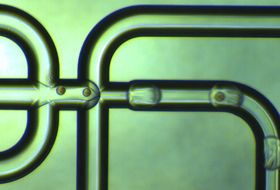 This new chip allows researchers to use droplet-based microfluidic methods to help explore the behaviour of thousands of individual cells, providing a rapid and easy way to screen for new or cryptic cell types. 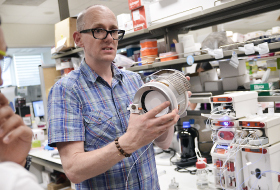 A Dolomite droplet generation system is helping researchers at Weill Cornell Medical College in New York, USA, to encapsulate human and mouse B cells for the cloning of antibody genes. Microfluidics specialist Dolomite has created a low cost kit aimed at educational initiatives or those new to microfluidics. 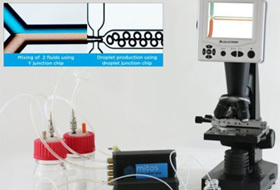 The Educational Microfluidic Starter Kit offers connect-­and-­go microfluidic capabilities, allowing easy set-up without the need for specialist tools or a gas supply.